Scotts 40-Volt 5.0 Ah Lithium-Ion Cordless 19 in. Steel Deck Lawn Mower requires no gas, no oil and starts every time. The powerful brushless motor delivers gas-like performance, increased efficiency and run-time. The 3-in-1 functionality provides side discharge, mulching and rear bagging options. 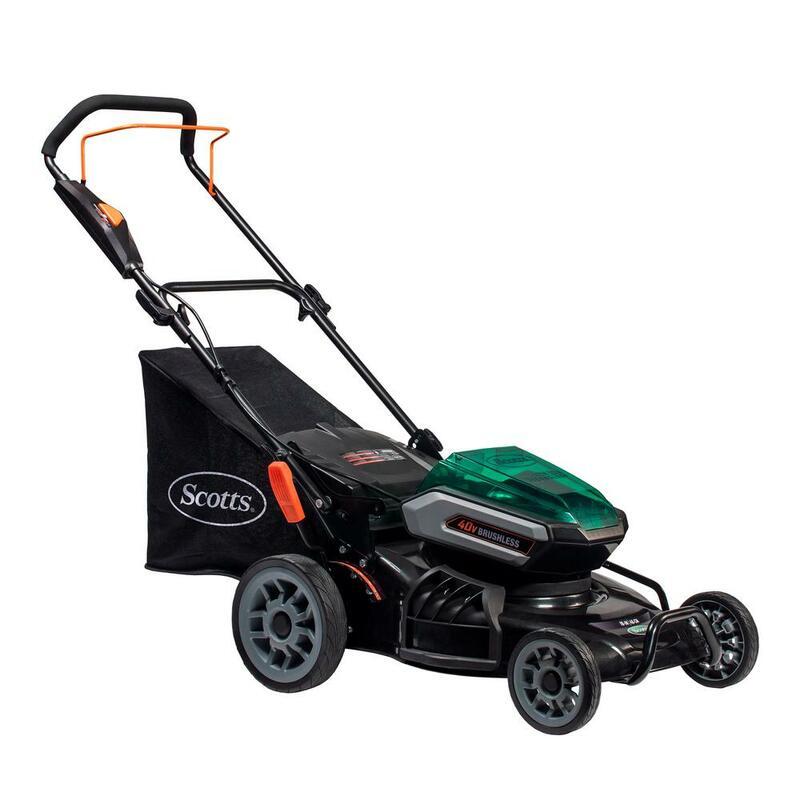 The Scotts mower is equipped with quick, adjustable fold-down handles for easy vertical storage. All Scotts cordless mowers come with a steel tube front guard and lift handle. 5.0 Ah battery and fast charger included. 4-year tool warranty and 2-year battery warranty. Battery is compatible with all Scotts 40-Volt Lithium-Ion Products. Battery level indicator on all Scotts 40-Volt Batteries.